Either you want to show the best method for building fenestration or some interesting balconets to decorate attic – you should do it with style. Architecture WordPress themes are not rare nowadays, but we do our best to bring you most modern and beautiful among them. Architects and concomitant firms need to use reliable themes for all projects, from simple to complicated. We have reviewed a lot of various sources and presenting you results of the search. To be an architect means a modern view with traditional values and this perfectly describes our themes collection. Watch, try, choose – we are completely sure that you will be satisfied! And if you’re interested in home decor or interior design – check our [next article], it’s definitely worth it. 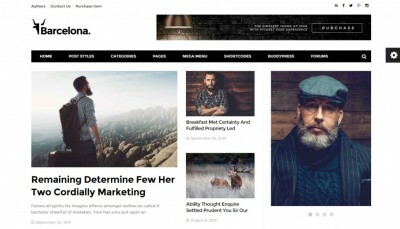 A simple yet powerful WordPress theme – Melville. A classic portfolio and stable features are good features to rely on in your work. It uses a grid layout system, which opens you possibilities for further development if needed. The main goal of template is to provide users with perfect portfolio for presentation of works, photos, and blueprints. Your collection will be fully filterable for advanced search – very cozy! Melville theme is very good commented, so it’s not complicated to use the template. If you need to print-out some parts of website – it has own style sheet for this, so info will be formatted on output; it is a great bonus feature. Haus WordPress theme main feature is minimalism. It’s a perfect solution for architects because the template mixes bright heading images with detailed descriptions, which allows you to create very impressive and informative presentations. Haus uses latest technologies for smooth work and high performance of showcase pages. All additional functions are hidden in a menu, which is represented by the button, to give you more workspace. Use main page for architecture company presentation, and beautiful portfolios to show your images or blueprints. Everything here is for productive work! The theme is SEO-optimized, it makes advertisement campaign more simple. Responsibility? Complete! All devices will show your website as you want them to show. 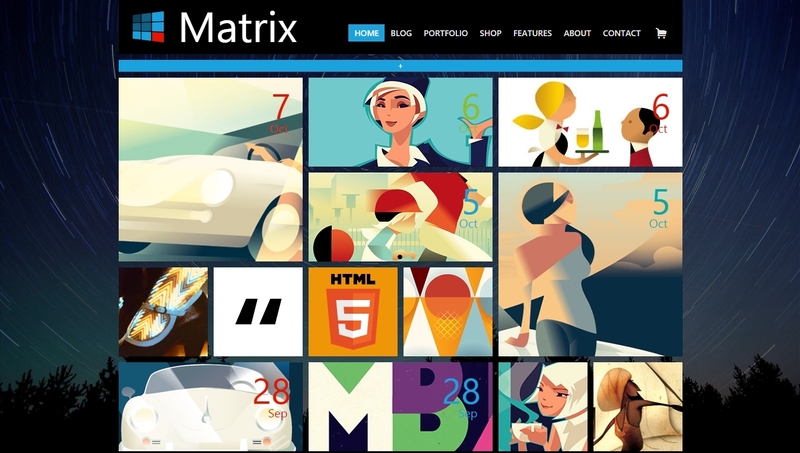 A great example of full-screen styled WordPress themes is the Mies template. Made for the full range of various presentations it is made completely for needs of architects. Each page consists of big header image, a description and schematics or blueprint. Perfect, indeed! Parallax effect adds eye candy to each presentation. Scroll through background full-sized photos or even videos – nothing is impossible with Mies. If you need blog – template uses a fully customizable blogging system to help you publish ideas and other information for visitors. The support of the theme is not only documentation, but video tutorials for fast and simple installation even by beginners. Right tool is here, and it’s called Mies! Organic WordPress theme is very beautiful and interesting. It uses a classical combination of presentation with beautiful design of grid system. Show some info about your architectural company before the showcase, that’s the main goal of the template. You may use one of two equally great portfolio options: with columns or using a masonry system, choose the one that will fit the general style of uploaded pictures. Note that the blogging system is also customizable. It could be simple after a quick view, but be sure that the perfectly created Organic theme is complete and very functional. Whatever you want to make, would it be a presentation or a small note, the template will help you! Choose out of seven functional pre-installed designs for every possible case in your architecture work with the modern and stylish Kalium theme. Show a perfect presentation and deep project specification afterward to impress any visitor on your website. More than 30 various portfolio types are at your disposal; with a great visual composer things got even more simple. Create whole architecture website from scratch, you don’t have to be a coder. 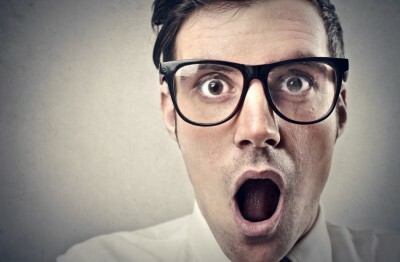 Kalium can also surprise you with fully customizable website parts to show some unique content to your clients. The template comes with integrated shop, so you can start commercial activity in the same day after installation of this great theme, perfect! 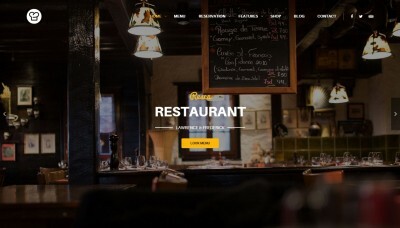 Architect – another excellent theme to use in your website project. It is very universal and has all required instruments for constructing the presentational or blogging website on architecture thematic. Try the good old features with modern design! Architect offers two styles for main page and 3 fully different appearances for projects area. Choose what you like most! Filterable projects with many types of information to add, such as practices and awards, simplify routine. The theme is extremely fast and has advanced options to play with, this makes it really universal. Need translations? They are fully supported. Remember that you may rely on great support in any case. Jkreativ shows what should a one-page presentation architect website be. Comfortable for usage but also very informative – that’s what every artist of construction will prefer! A lot of effects from animations to parallax, a beautiful template. If you are looking for complete and full options of website – Jkreativ will impress you. The theme could be easily styled to apply tons of various effects, add some eye candy on simple and homely things. Jkreativ uses 9 templates for design in work, so just think on which one suits current situation better. Really, it is perfect for any purpose! 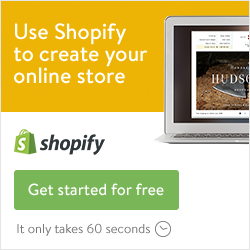 Want to run a shop? WooCommerce will work like a charm here, the support is full. 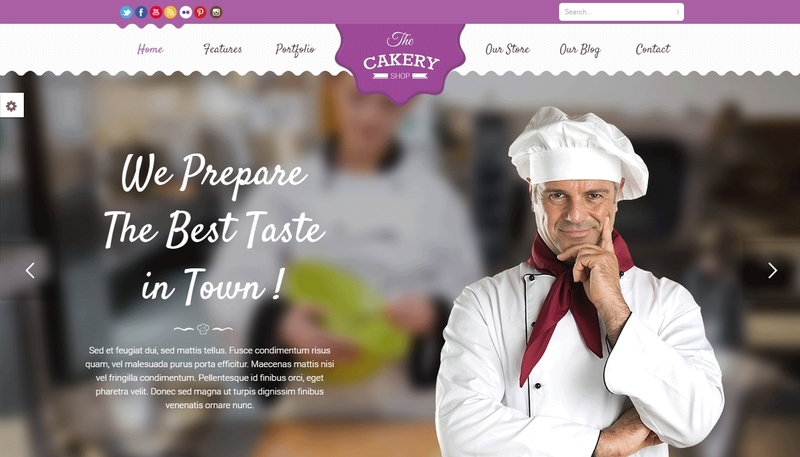 Domik is a creative theme with four possible home page appearance for different requirements in work. The main motive of template is a fullscreen content, so pick your best architectural images to upload, they will be showed at their best. Standard but classical and very cozy navigation puts you through the website to any page, which fasten the navigation. Projects page use square design without margins, as a default option, so you may put to the showcase more pictures, so does the slider with height stretched images. The blogging area is also very interesting. It uses a parallax effect and animated background with grid of posts. Great solution for informative part of website! Construction Renovation is a straight-to-business theme with the shop and all required for commerce information on the main page. 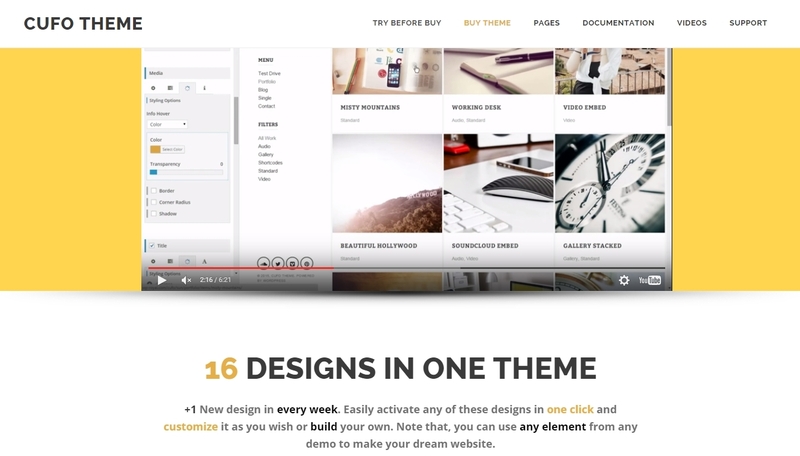 All the template instruments are directed to sell, so if this is the purpose of your website – choose this theme. Four basic color schemes, two layout options and unlimited possibilities for creativeness. Introduce your business with the specially designed main page with fields and areas for each information piece you will ever want to share, five various landing page structures are at your service. Powerful Revolution slider, easy page builder, premium icons set – the design creating was never such a joy! Complete video tutorials will provide required help. Use endless layouts possibilities for very own project! A clean and very sharp theme for architects to show their work and share information – this is the Arctic WordPress theme. It is pretty minimalistic and supports large videos and images as a static background, so you may create some interesting design ideas to decorate the showcase. A light or dark global appearance template? Top or bottom menu? It is just your decision. Choose between various page templates and configure all details as you wish. Captions for slides, descriptions for portfolio items are handy tools for any architect to use. The theme is very smooth in scrolling and fully responsive. Arctic supports WooCommerce and various translations as well, so be sure that you are looking at a worthy template. Do you like business-oriented themes for WordPress? Avanter is one of them! Clean corporate template for business purpose suits perfectly to architecture thematic. Sharp lines but smooth colors – good choice for a perfect composition. Use various portfolio designs, including 2-4 column grids or full screen presentation. Unlimited color schemes and simple page creator help a lot in making pages “as designed”. Sidebars are not limited, so make some individual solutions! Also, note that demo content can be used for quick theme setup. Main page with featured products, built-in WooCommerce support for commercial activity add some bonus features to this absolutely responsive and beautiful in its simplicity theme. Cobalt is a very modern and innovative WordPress theme. It is made very minimalistic for design purpose and this looks really fine. Cozy two column main area system makes usage of the template more quick and productive. Navigate wherever you want without questions! Left side column is reserved for menu and main panel while right part of the screen used for presentation. There is a six possible variant to choose for main page, it depends on your needs of image aspect ratio and position. 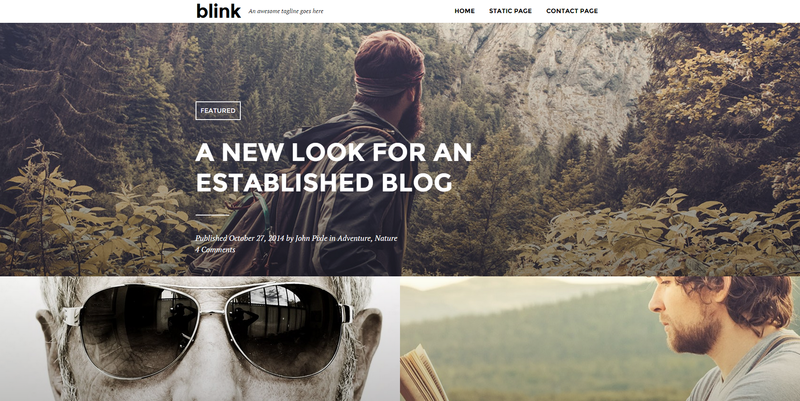 Check as well four blog templates to see which one will suit your style better. The theme has special fully working form to contact you that will impress your visitors with something really modern and beautiful in such a secondary website area. The main feature of Basis WordPress theme is its readiness for every possible design request from the architect. You may choose from 6 page and 4 header options to set the best presentation page for your particular purposes. And here is more: 5 default and 8 full width project page! The template is really interesting because of such a quantity of ready design ideas to use. No more time-wasting; use the template and check some important settings – everything else is already set for you. Either you want to use grid or columns, the project page will be very informative, thanks to the thought-out layout. Present, inform, and sell. A simple logic of Basis theme. It is fully integrated with WooCommerce shop, so you will occur no problems in setup of your own commercial architect website.